I recently watched the first episode of the new season of Netflix’s excellent documentary series Chef’s Table. It focused on Grant Achatz, the highly acclaimed chef behind Chicago’s own Alinea, Next, The Aviary, and Roister. It was a compelling episode, in part because it is so satisfying to watch a person doing what he so clearly should be doing. It’s rare to see someone so perfectly matched with his career and to have found critical and commercial success as well. But what became apparent as I watched was that more than his talent or his palate or his incredible modernist techniques, it is Achatz’s drive, his ambition, and his relentless need for reinvention that sets him apart. It was inspiring and also humbling in that “what-have-I-done-with-my-life” kind of way. Ambition, for me, arrives in fits and starts. And inspiration is even more sporadic. I am not in the business of transforming the essence of tomato into the shape of a strawberry, using a table as a literal canvas, or handing off floating edible sugar balloons with a pair of tweezers. And yet I feel best when I am able to harness some small piece of creative energy, when I am able to envision something that, to me at least, feels new and am able to figure out how to corral the various components into a coherent whole that resembles that vision, whether it’s in writing or in food. I felt as though I brushed up against that feeling of satisfaction when I first tasted one of these Negroni pâte de fruit, which I developed for my friends’ wedding last fall. The Negroni with all its bitter and bright flavors is one of my favorite summer cocktails and one of my favorite templates to play around with when making drinks. I’ll admit it’s not for everyone. Campari is one of those bracingly bitter flavors that you tend to hate and hate and hate until one day you love it and even crave it. 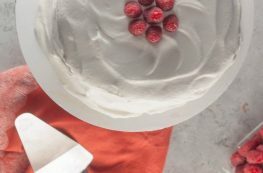 I wanted to transform that flavor into something solid–a dessert with all of the bitter complexity of a Negroni. And I figured out how to do it with one of my favorite candies, the chewy pâte de fruit. These bright pink pâte de fruit taste like the cocktail they’re named for, with an extra bit of sour edge from lemon. 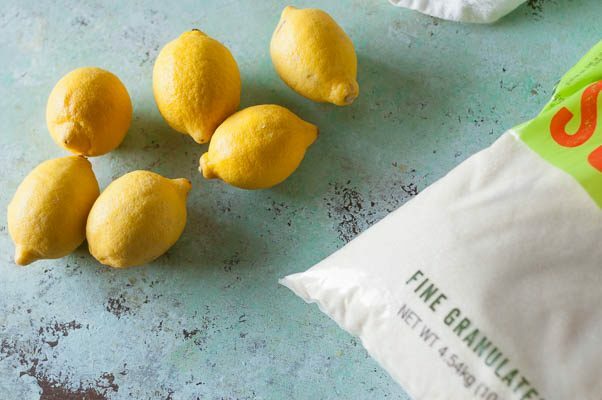 They get tossed in sugar scented with juniper berries to bring out the gin flavor and sprinkled with a little bit of citric acid for an extra boost of sour. 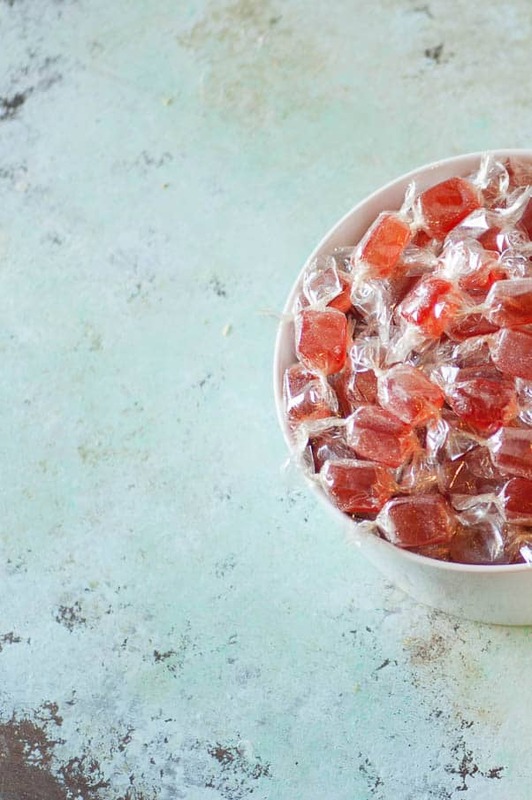 They are pretty much the perfect candy for Negroni fans. All of the addictive charm of the cocktail in a tiny, chewy, gem-like bite. These candies taste like the classic Negroni cocktail with the addition of a little sourness to translate them into a balanced dessert. They are brilliant pink, and perfect for fans of bracingly bitter flavors. They aren't difficult, exactly, but they do require a bit of special equipment, including a good candy thermometer, like a Thermapen and a milligram scale. 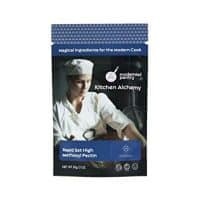 The formula is designed to work with pure HM apple pectin, but the kind of classic pectin you find in the canning aisle at the grocery store will work (just don’t get the kind designed for low sugar jams–that’s LM pectin and it won’t work right here). 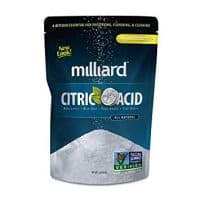 You can order glucose syrup and juniper berries online and citric acid (sometimes called sour salt or lemon salt) at most grocery stores in with the spices or with the canning ingredients. Be sure to scale EVERYTHING and have the pan lined with parchment before you turn on the heat. Professionals typically use a guitar to cut these perfectly evenly. Because I don’t have that kind of equipment, I use a sharp chef’s knife and a ruler and accept a little variance. I’m presenting this more like a professional formula than my typical recipes and only providing gram measurements because this really won’t work with cups and teaspoons. 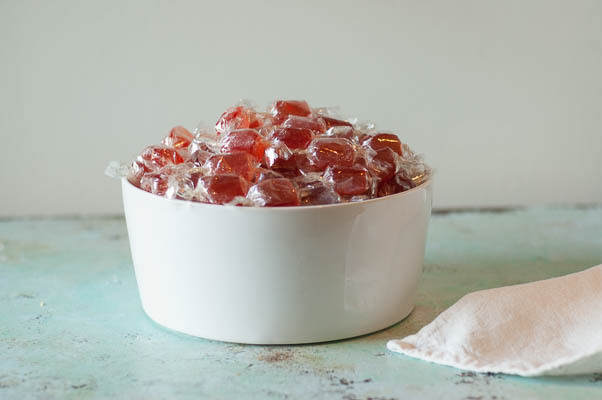 The only exception to that is the sugar used for coating the candies at the end, which can be adjusted to taste. I like the level of juniper scent and sourness here, but you can adjust it to taste. 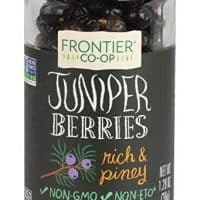 Combine the sugar and juniper berries in a jar, close the lid, and let infuse for at least 24 hours or until the sugar takes on a discernible juniper scent. Sift out the juniper berries and mix in the citric acid. 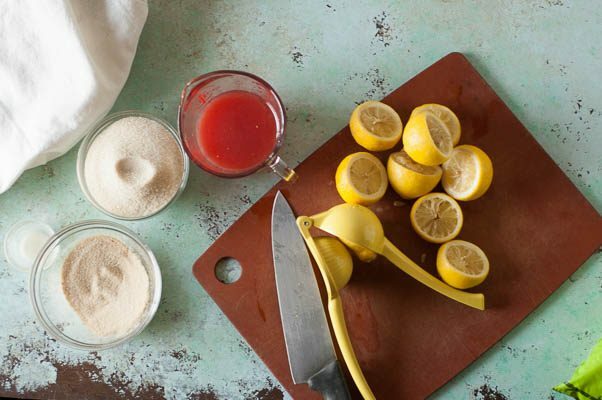 In another small bowl, mix the pectin with the 30 grams of sugar until thoroughly combined. In a tall, heavy bottomed saucepan (I use a 2 quart All-Clad, this bubbles up, and sugar burns are serious business, so don’t go smaller) add the Campari, sweet vermouth, lemon juice, and the pectin and sugar mixture and heat over medium-high heat, stirring constantly, until it comes to a boil. Heat the glucose in the microwave for about 15 seconds or until it is a pourable consistency. Add the glucose and the remaining sugar to the saucepan and cook (keep stirring) to 106ºC/222°F. It will bubble up significantly, so be prepared. When it reaches temperature, remove from the heat. Stir in the cream of tartar solution and quickly pour the whole into the prepared pan. Let it set, undisturbed at room temperature, for several hours or overnight, until firm. 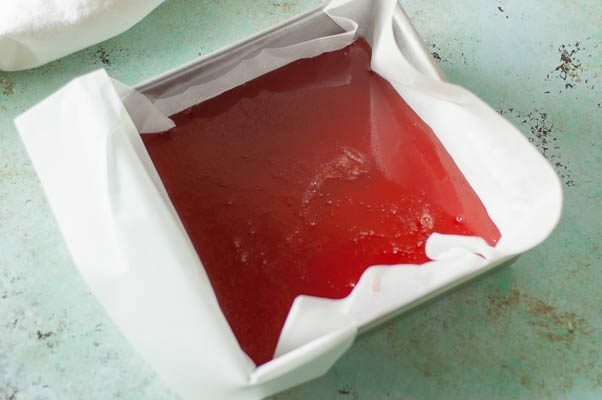 Remove from the pan and cut with a sharp knife into 1-inch squares. 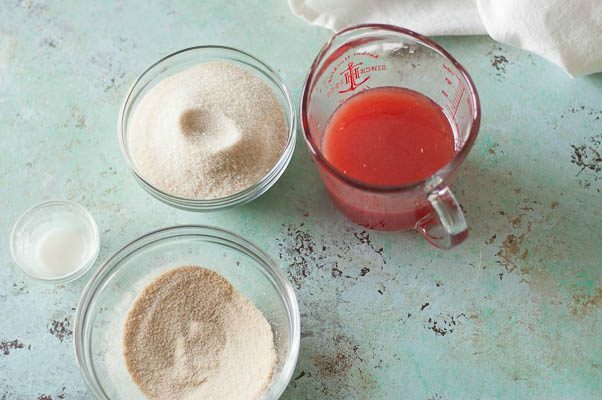 Place the prepared juniper-scented coating sugar in a shallow bowl and roll each piece in the sugar. Store in an airtight container for up to two days. Wrap in candy wrappers if keeping for more than a couple of days. I have yet to watch Chef’s Table, it’s in my list. Glad you loved it, reading this made me want to watch it asap. And as for these negroni, sounds very interesting. Never had anything like this. Yum! Thanks, Shinee! I highly recommend the whole Chef’s Table series–it’s great! I love Chef’s Table!!! I’m several episodes in and loving it! I’ve never heard of negroni, but I’d definitely try it! Thanks! Negroni is a classic Italian cocktail with gin, Campari, and sweet vermouth. These take that flavor profile as the inspiration. Wow these look like they’d be a refreshing little candy. Any guesses as to where I can find some of those obscure ingredients? Thanks Kate! You can get almost everything for these on Amazon. 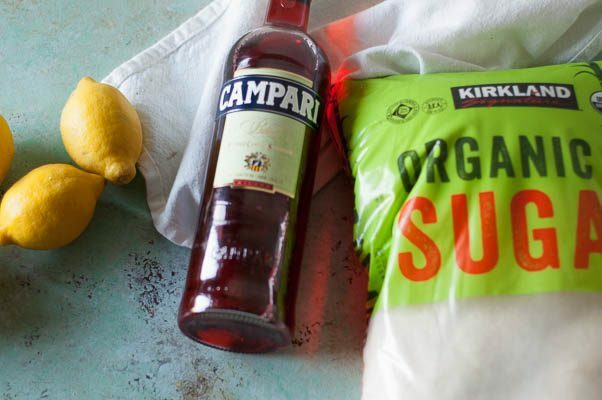 Campari should be available at any well-stocked liquor store, and citric acid is usually either with the pectin or the spices at most grocery stores. These look Gorgeous and I can definitely eat a whole bowl in one sitting 🙂 Thanks for sharing the recipe. I must get that series in my netflix queue! That sounds awesome. These look amazing what a great idea to recreate candies from all these flavours. 1.125 grams Cream of Tartar?? 1.125 grams water?? Yes! It’s nuts, I know, but the details matter on this. I have a link to an inexpensive scale for weighing tiny amounts like this in the headnote to the recipe.